The Washington Redskins could have made just the right token move. Colin Kaepernick’s time as a star in the NFL is likely over, and maybe he’ll get a multi-million-dollar settlement for being blackballed by the league. If signing with the Redskins would have cost him any of that money, I am glad the team did not pick him up after Colt McCoy went down with an injury and left one experienced quarterback on the roster. But that’s the only reason. Otherwise, the Redskins missed a chance to make the right kind of token move. Kaepernick is probably better than half the back-up QBs in the NFL right now, but he still being chastised for kneeling during the national anthem to magnify what he believes is racial injustice in America. The move attracted widespread attention, which protests are intended to do. 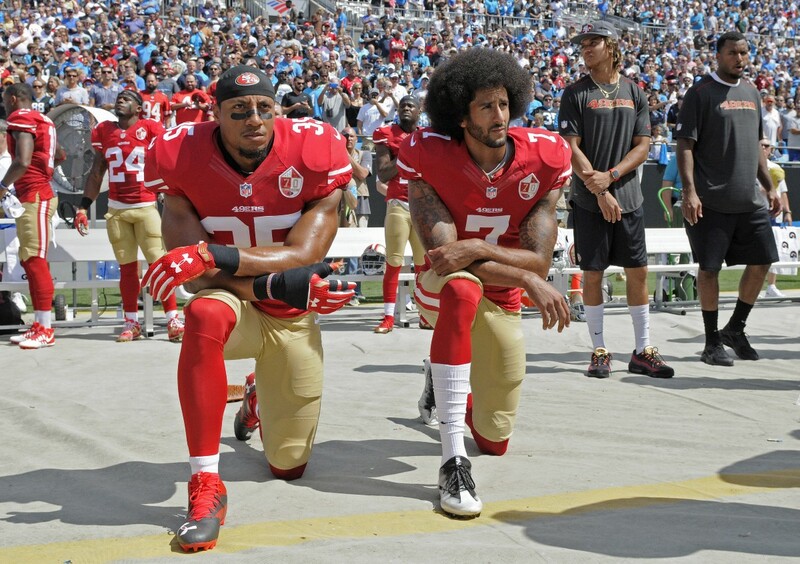 Eric Reid, who joined Kaepernick kneeling, is back in the league with the Panthers. Kaepernick probably could not have salvaged a playoffs spot for the fading ‘Skins, but he deserves to be on a roster somewhere. Washington would have been perfect right under the nose of Donald Trump, who insulted NFL players as he has done with pretty much everyone else in the country. Redskins coach Jay Gruden and owner Daniel Snyder could have made a statement by signing Kaepernick, which would have alienated some fans by probably warmed the hearts of more. The franchise long ago refused to change its nickname because it claimed no prejudice against Native Americans, and taking Kaepernick would have underscored that stance. And it might have, finally, put the protest Kaepernick launched into another context – like all other demonstrations that make a point, hope to affect change and move off the front pages. Protesting is no more than giving an opinion, which every citizen is entitled to do under the First Amendment of the Constitution. Trump does not believe that, and by signing Kaepernick the Redskins could have stuck that very point right the POTUS’ face.